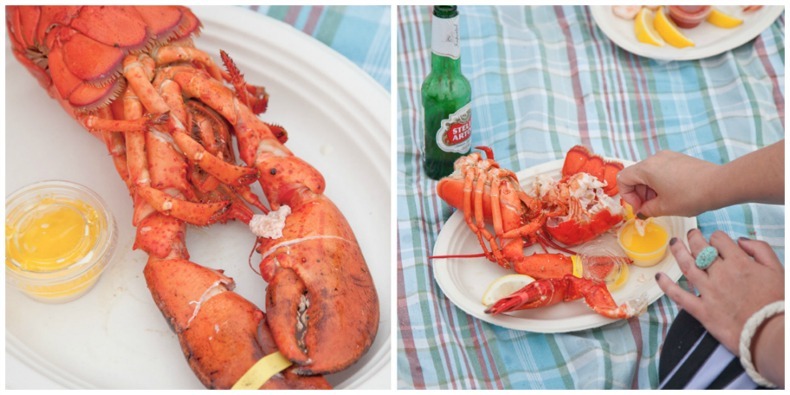 A classic lobster steam is the perfect outdoor summer party. This backyard soiree will have your friends talking all summer long. 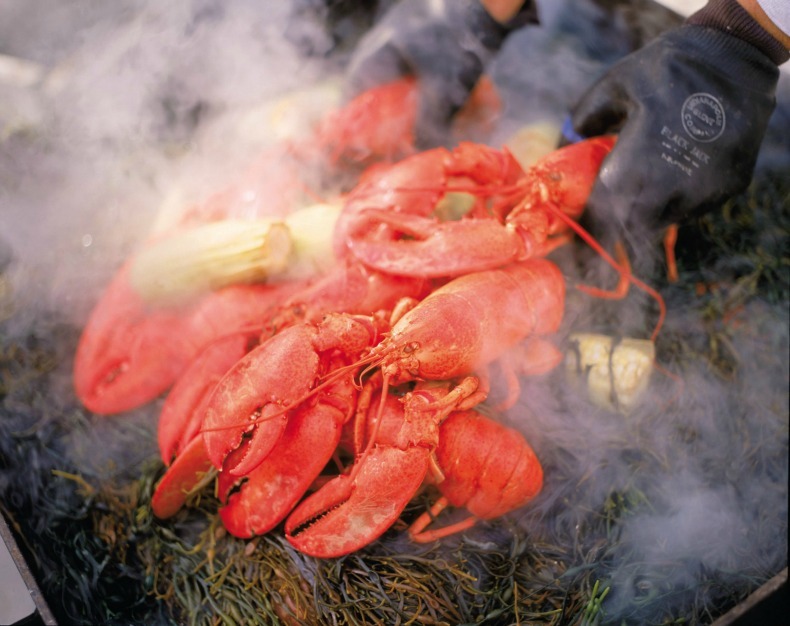 Fresh ingredients and simple decor are the essence of a lobster steam. Setup and cooking will be a breeze. 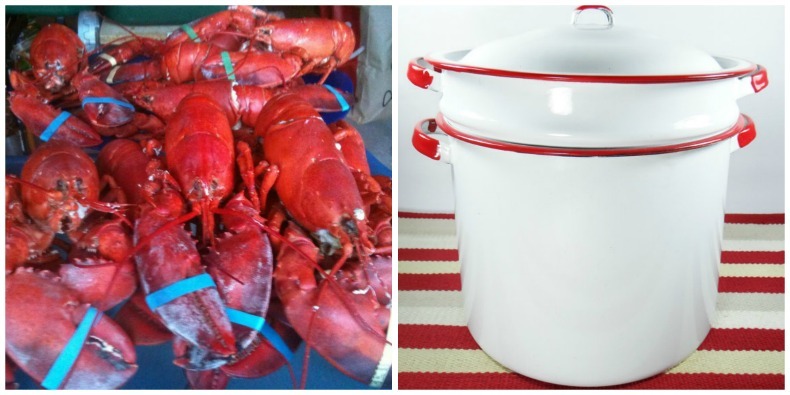 For a beach set up you will need to bring: an outdoor stove, prep table, serving platters, a saucepan for warming butter, a large lidded pot, and a cooler of beer. 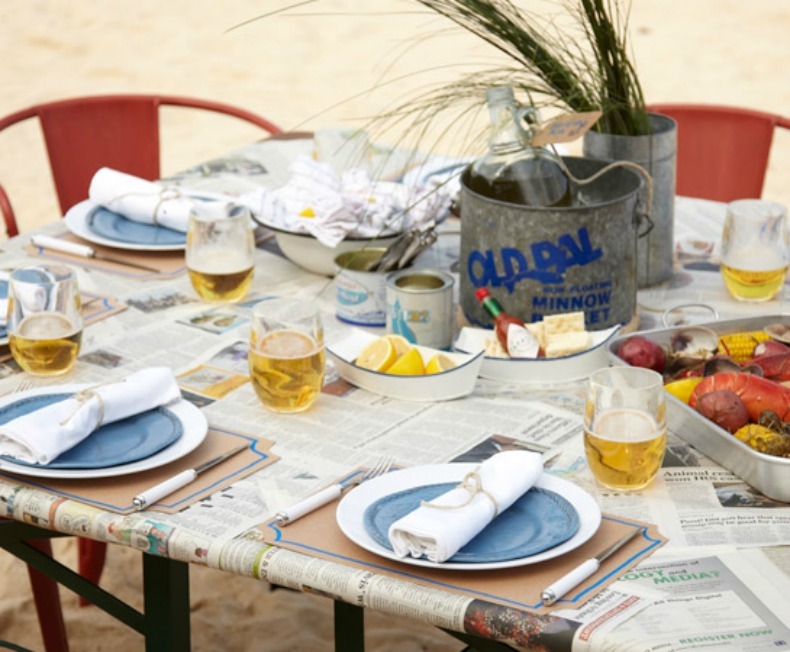 Stake out a picnic table and chairs, or bring a low table and cushions for casual dining on the sand. 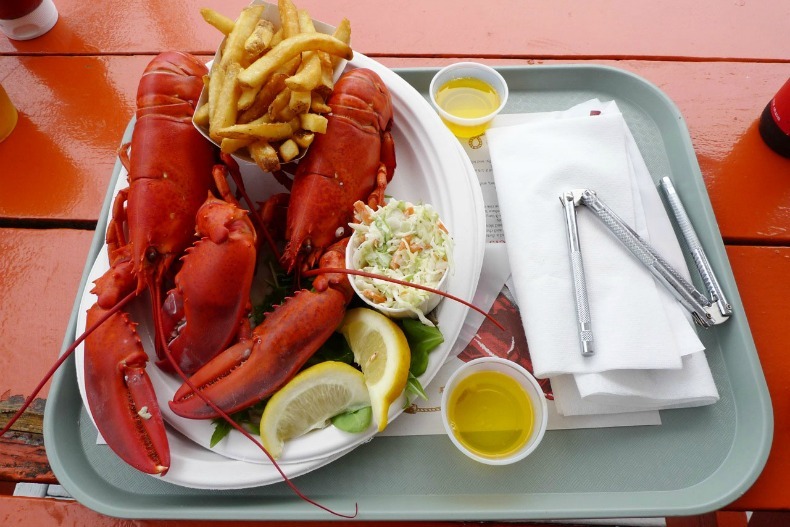 The basic ingredients list is refreshingly short: lobsters, red or gold potatoes, corn on the cob, clams, herbs, drawn butter and lemon wedges for dipping. Keep these items ready on the prep table, once cooking starts, it goes quickly. Natural materials like wood and galvanized metal, sheets of newspaper taped together to form a disposable tablecloth. Red, white and black create a stylishly laid-back design. In a saucepan, gently melt 1lb. of butter over low to medium heat, and bring it to a slow boil. As your butter boils, remove the foam with a spoon.After a few minutes, the milk solids will separate themselves from the oil and sink to the bottom. The drawn butter is done when the oil is clear and golden in color. Allow the butter to cool slightly, and then pour off the clarified butter from the milk solids into a heatproof bowl. 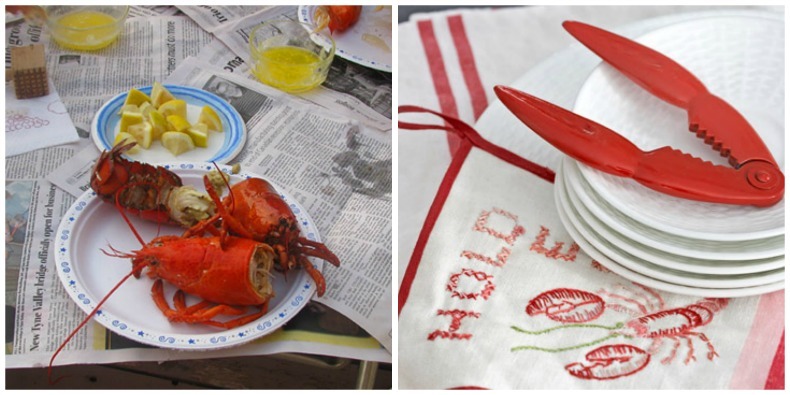 Ladle the drawn butter into mini warmers and serve with the lobster. Start by breaking off the claws at the first joint using a twisting motion. 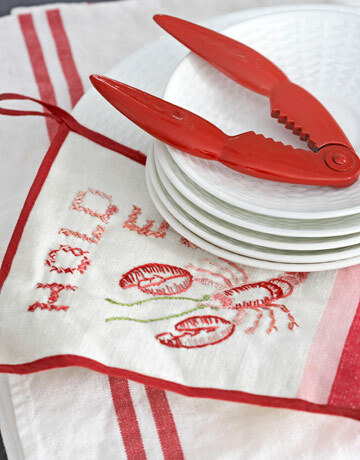 Use your cracker to break the tip of the claw, and use your fingers to push the meat from the tip to the open end. Separate the tail from the body by holding the back and twisting the tail with the other hand. Peel off the top of the tail to remove the black vein that runs through the entire tail. Then push the meat out from the smaller opening through the larger opening. Extract the meat from the legs using lobster picks.